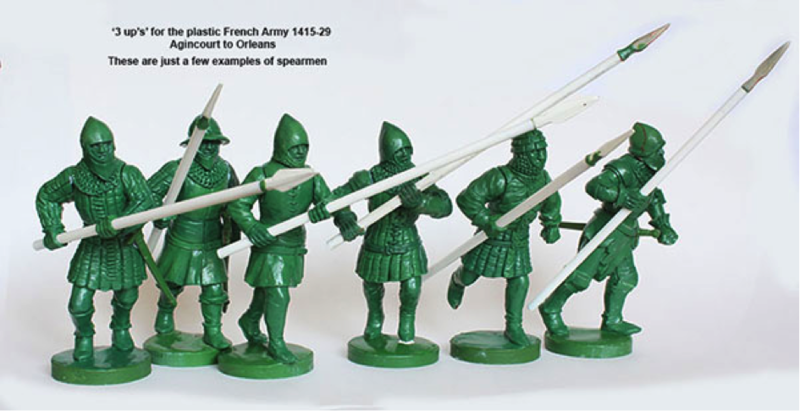 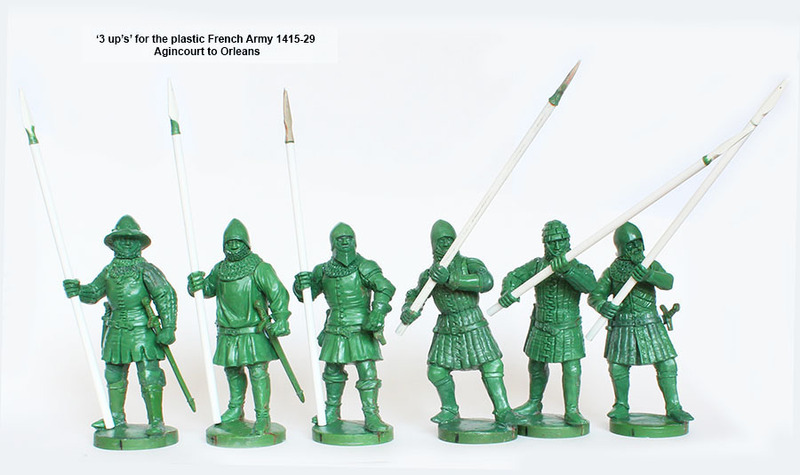 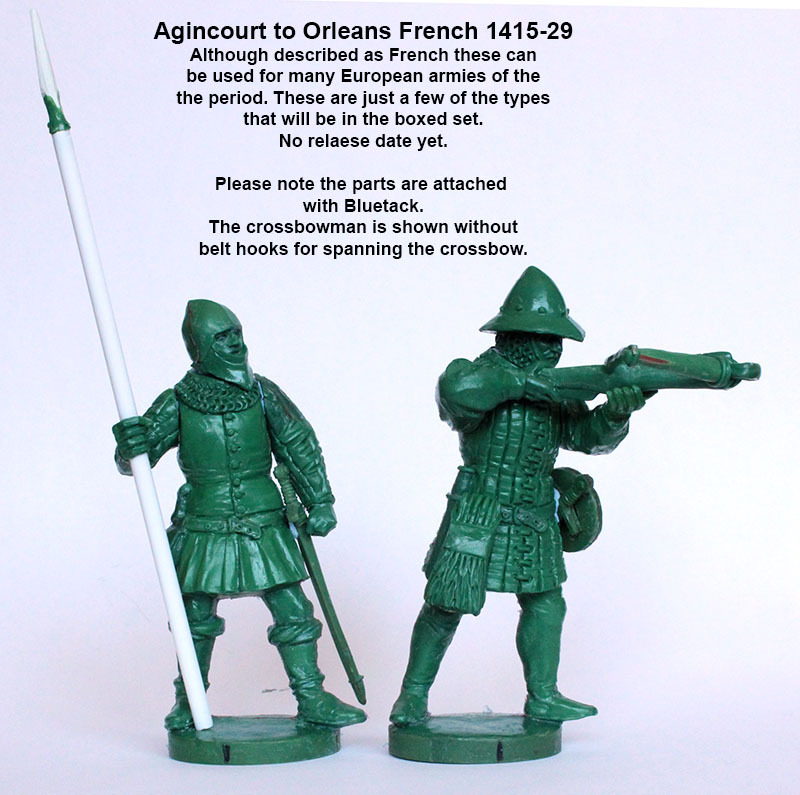 The first frame of the ‘Agincourt ‘ French plastic infantry is finished here are a few examples. 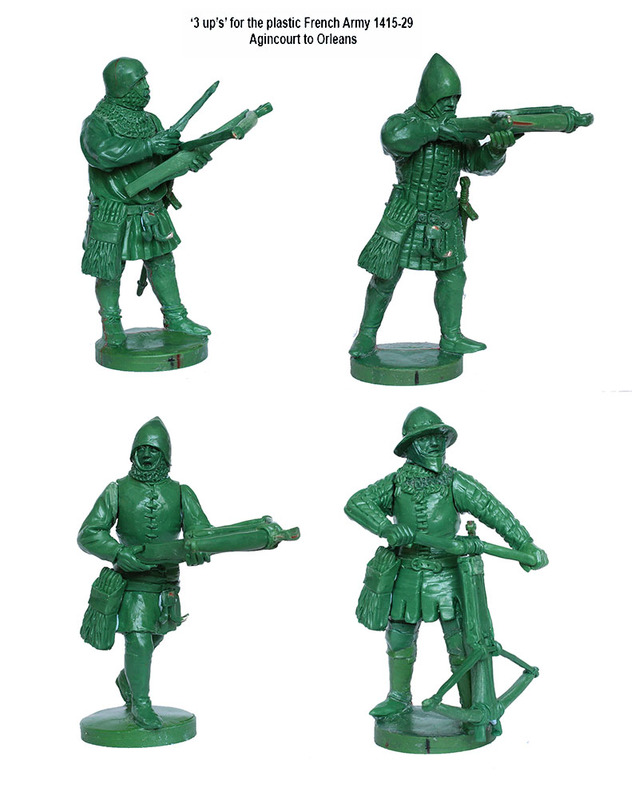 These are just from the Infantry frame, there will be a knights frame too. 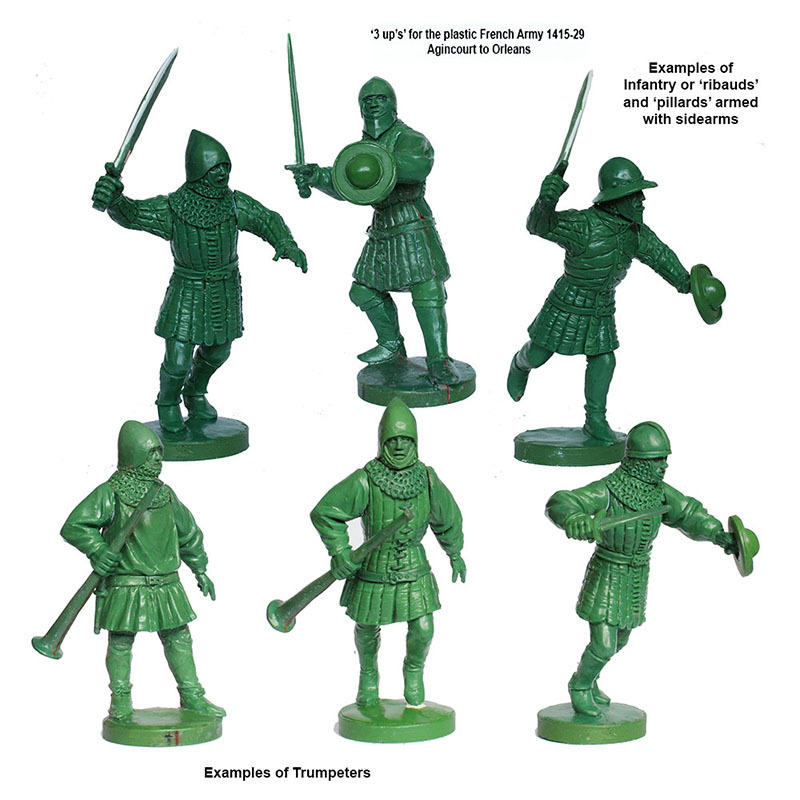 This infantry frame can actually be used from the 1380’s to the 1430’s and for many different European countries, not just French.